Divorce is difficult under any circumstances. Separating from a partner is a challenging emotional time and it also carries a number of financial, legal and practical implications. Those issues can be made more complicated if you or your partner (or both) are non-Dutch nationals. If you have more questions, you can visit our stand during the I Am Not A Tourist Fair on October 8th 2017, where we will be giving free fifteen minute legal consultations. Here are the top eight things that you should know. 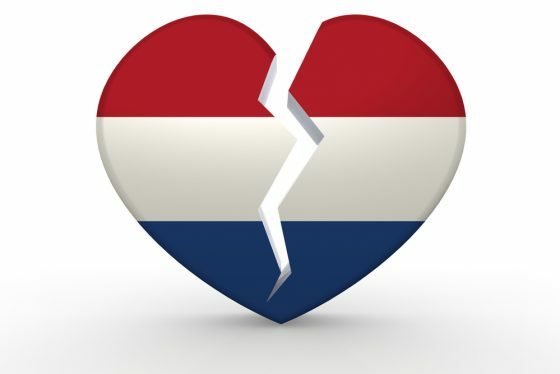 Regardless of which country you married in or what your nationality is, it is possible (in most cases, there are some exceptions) to divorce in the Netherlands. You do not need to provide a reason to get divorced in the Netherlands. All divorces are considered no-fault and can be requested for any reason. You must retain a lawyer to file for divorce. You and your ex-partner can share a lawyer or you may retain your own lawyers. You can also make use of a mediator during the divorce process. Unless you have a prenuptial agreement, Dutch law instructs that all marital property is community property and all assets will be divided 50/50. Matrimonial regime, or the system of dividing marital property, can change after living in the Netherlands for ten years. For example, you got married in France in February 2002. You and your partner moved to the Netherlands in June 2005. Now, it is 2017, and you have decided to divorce. From February 2002 until June 2015 (ten years after you arrived in the Netherlands) French law applies to the matrimonial regime. From June 2015 until now, Dutch law applies. Dutch law provides for both partner alimony and for child maintenance. You may be obliged to pay money to your former partner, depending on your financial situation. You also may be obliged to financially support your children. Should you be required to pay partner alimony, that spousal support can last for no longer than twelve years. However, if you were married for less than five years and do not have any children, then you only have spousal support for the period of time that you were married. If you want to move to another country with your children after your divorce, you will need permission from your ex-partner to do so. In fact, even to travel abroad, you may be required to provide proof of permission before you can do so. If your ex-partner is unwilling to provide this permission, you may be able to request it from the court. If you are considering a divorce or even if you’ve already decided to go forward with the separation, our specialised lawyers can help you with dividing marital assets, determining partner alimony and/or child maintenance and settling any sort of related issue. If you have further questions or you want more information, you can find the Legal Expat Desk at the I Am Not A Tourist Fair on October 8, 2017. We will be giving free fifteen minute legal consultations during the fair.